The bodybuilding benchmark, the Arnold Classic, is happening on Saturday, March 5th - and we've got 3 of the biggest names and bodies in the industry here to give you an exclusive glance at their training for the 2011 Arnold Classic. You remember Rampage, right - the '86 arcade game where three giant monsters thrashed apart cities just to see who really was the biggest and baddest beast of them all? Well, the real life equivalent is coming up, fast. MuscleTech athletes Branch Warren, Johnnie Jackson, and Dexter Jackson have truly monstrous physiques, and it's a good thing the Arnold Classic doesn't require leveling skyscrapers or squashing puny humans (trust me, these guys could). So check out what these guys are doing in preparation for the "rampage" in Columbus, Ohio, and decide who you think will level "The Arch City." 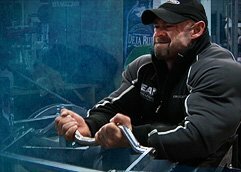 Branch Warren Arm Workout Coming off a 2009 2nd place Mr. Olympia finish, Branch Warren, one of bodybuilding's toughest predators, is on the hunt. 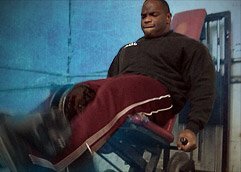 Johnnie Jackson Leg Workout "The World's Strongest Bodybuilder" you say? Well, he does hold a USPF deadlift record, and plans on lifting himself to a first place finish at the Arnold Classic. 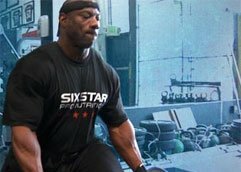 Dexter Jackson Leg Workout 2008's Mr. Olympia and 3-time Arnold Classic winner is ready to cut out the competition.